This is the post where I share some of the key elevating ideas from my interviews, conversations and thoughts each month. 1. Don’t get sucked into thinking you are getting too old! I recently had a wonderful conversation with Patty Aubrey the inspirational President of Jack Canfield’s organization. You may remember, I interviewed Jack a few months ago . One point I noted was that Jack was 47 when he and the team began writing ‘Chicken Soup for the Soul’. He was 50 when it was published and the series has now sold over 500 million copies! This weekend I turn 47 and this made me realize that with my first book out this year that things are actually on track! Whatever your age we can keep on making a difference. Jack is now 71 and going strong. On the contrary, don’t also get sucked into thinking you are too young. There are so many great young entrepreneurs out there. Never accept anyone saying you are too young or too old to be successful. 2. When it comes to selling if you want to avoid boom and bust you have to keep going. You must continuously bring in new sales, on board new clients quickly, build sales with existing clients and then request testimonials and connections from clients that are warm to you. This according to Colleen Francis and her book ‘Non Stop Sales Boom’ is the way to keep sales booming. I could not agree more Colleen! 3. How successful are your meetings? Meetings are something we can take for granted as a natural part of business. However, they also give you a wonderful snapshot of your culture and likely success. If you think about it meetings are where many decisions are made, projects are moved forward, issues are resolved. The success of your business may in fact be a mirror of how successful all the meetings are in your business. If the business is not going well then your meetings and the thinking within them may be a place to look for clues. I am really impressed by Katherine Woods who not only runs a great business helping some incredible clients to run magical meetings, but having experienced incredible loss in her life, she also acts as an Ambassador for UK Child Bereavement. She gets my vote for inspirational person in my month. 4. Focus on the greater good and get out of the way! 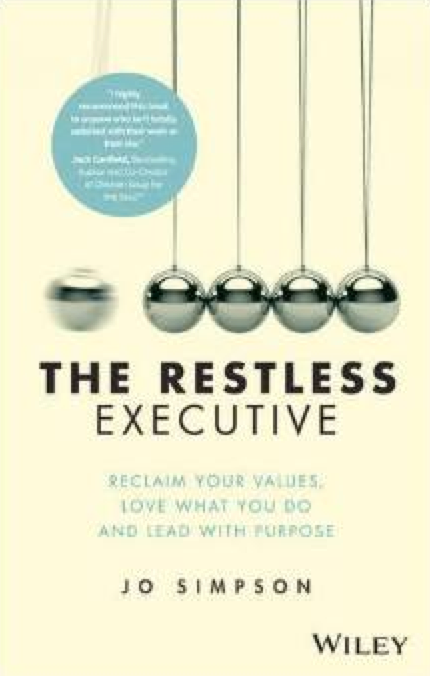 This week, I chatted with Jo Simpson about her book ‘The Restless Executive’ for our interview. I have to say I am impressed – the book looks great and I am looking forward to saving it for a more thorough read during my summer holiday. What I love is that the book is an authentic expression of Jo. Jo was telling me about her angst about promoting the book. I also feel the same when I send out communications. I also have a book coming out myself soon which we will need to promote. On the one hand, you have put your sweat and tears into a piece of work that you want and know the world will benefit from. On the other hand, the idea of promoting it can feel less genuine. You don’t want people to think it is all about you! I think the answer is when you do something great to get out of the way of yourself and ensure people who will benefit know about it! Or you are giving the world a poor service. 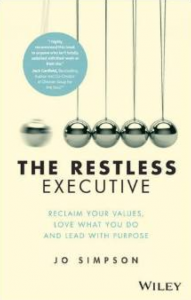 Jo is giving the world a great service with her tremendous book that I am sure will help many restless executives to elevate themselves into courageous leaders – you can access your copy here. So where are you giving the world a poor service by not promoting your business or ideas? 5. Be socially responsible. It is never a bad thing to give up some of your time to help others. Last week with some of my colleagues from the Professional Speaking Association we helped 68 Sixth Form Students to stand up and give a speech. If a client paid for all the speakers in the room who were giving their time they would have paid about £15,000. We did it free. However, we all gained something from it. Not thanks but a sense of connection with a generation of people that I personally rarely meet and pride to see how well they had dome. I realized with some of them that our future is in really good hands. Others made me smile and think back to my own naivety at that age. I am really looking forward to Liam Black this week. If you are interested in leading socially responsible organizations then there are few people with more experience to guide us. 6. Work outside. I have worked outside in the last few weeks whenever I have had the chance. There is nothing like finding an outside space you love and working there. This is the privilege I dreamed about when sitting inside working for corporations. I feel more relaxed and more creative when I have been working outside. 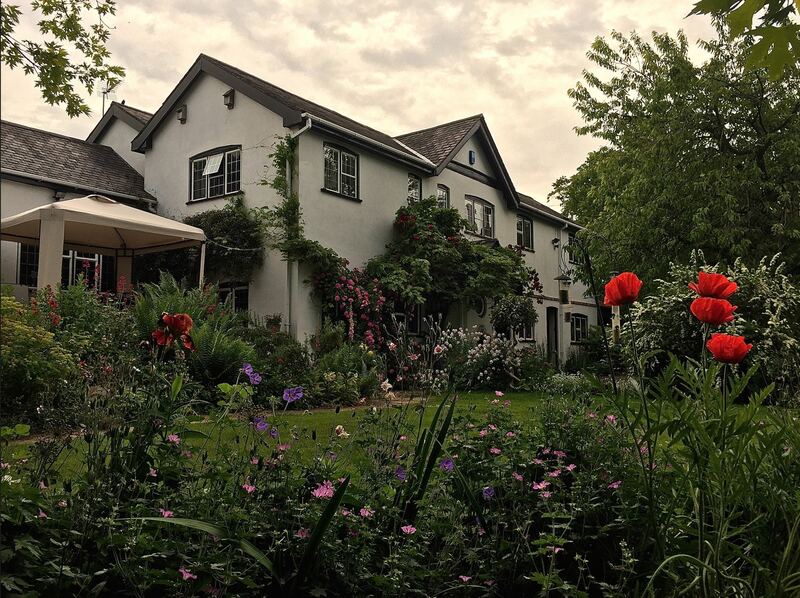 Also, I have found my coaching clients gain more from looking out at a nice garden than an office wall. So this is where I have been sitting (below) underneath a gazebo looking out on a garden that my wife and I have made into a special space. My favourite productive and creative space. One that I also enjoy bringing others into. Where is yours? Is there a more productive place you could be working this week! Can you move there and achieve more?